You have the opportunity to make a difference NOW! Join the ranks of Chabad's Shareholders whose big hearts fuel our vital services and activities. May G-d shower you with abundant blessing. We are so thankful to these are the shareholders who gave generously so far this year. 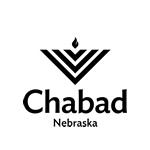 Call 402-330-1800 with with your questions or to speak to Rabbi Katzman about how to make a difference this year. May the merit of this special Mitzvah bring you an abundance of "nachas" from your loved ones, Simchas and all good things.